Cover design and photos: Maarit Kytöharju. 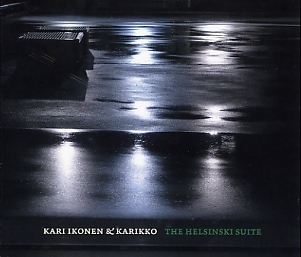 All compositions by Kari Ikonen except 5 by Duke Ellington. Kari Ikonen (p, rhodes, moog), Sonny Heinilä (fl, ts), Laurent Blondiau (tp), Vincent Courtois (vc), Ulf Krokfors (b), Mika Kallio (dr).